I started this website after a lot of thought and prayer. Seriously, a lot! A friend had started a blog and I asked her about it. She told me "It's so easy!" But, I am older so a lot of computer stuff is harder for me. We came from a small church that I taught at for about 25 years. I know how hard it to afford material, and it seems like you don't use a lot of it. I have made my own lessons most of that time because of money and I usually taught a wide range of ages in each class. I write the lessons using the NKJV because the original documents have He, Him, His, etc in all caps showing the awesomeness of God and Jesus. Our English equivalent would be to capitalize the first letter. I also try not to use the word story since in this day and time it is generally thought of as something made up. I know the dictionary defines story as true or made up, and 20+ years ago the word story was used different. I try to use lesson, facts, account or events, etc. Yep, it's just a word, but the world is looking for anything to disclaim the Bible. The exception to this is when I talk about a parable, since that is a made-up story that Jesus told, and doesn't that say something right there? I love using a take home printable as an application reinforcement, and how the Bible lesson pertains to them today, and not a time filler! The project is usually a conversation starter and works with the lesson. I don't usually have extra time in class, but I use these flash cards and the students actually get excited when we have time to use them! Click here to see these. Leave a comment if you'd like a specific question added to the flash cards. I also don't have a main point or application posted on the lesson posts. Why? I always have an application for each lesson, that is part of why we teach the Bible! Because I feel (and I hate saying that about the Bible... I feel or I think) that after the teacher studies the scripture and doesn't just rely on the material you are using, you will find the application that you need to discuss for your particular students. I can teach the same lesson to one class, and the next year key in on a totally different point. For instance, The Parable of the Prodigal Son. I usually key in on not being wasteful, taking care of what God gives you, using your money wisely, etc, along with God wants you to go to heaven. The class this year brought up picking the right friends, so that is what we talked about. For older kids, I that is a good point also, but it is important to talk about the fact that you can be lost, and God the Father is so happy when we repent and do what He wants. You can usually figure out what I am using as the main point with the take home project. Which, I usually have the students do as they come to class if it is a craft. I tend to have late arrivers (not their fault), and if they don't have time to do the project, they can take it home finish it there. I tell them that they are there to learn the Bible and I will make it as fun as I can! Yes, I make mistakes! I have found several. That is why God tells us to study. Study. Study. 2 Timothy 2:15 If you find a Biblical mistake, please contact me with what needs corrected and the scripture with the proof directly on the post that needs corrected. Thank you. I really like Psalm 46:10 because we live in such a busy time, it is hard to just stop and enjoy what God has made. And Genesis 1:1 because it just says it all, and is one that I like the kids to memorize since they will have teachers in school teaching against it. Something else I thought I should add, because I have been asked, is I cannot do Teacher's Workshops. I cannot be in front of groups without feeling like I am having a panic attack. Just thinking about it to write this is making my head fuzzy! I can be in front of kids all day long! But, not adults. Those of you that do workshops, you are awesome! My daughter told me "Mom, aren't you old enough to get over that?" My reply was "No, I am old enough to know what I can do!" Ha! I didn't know this would be so long! If you have a question, please leave a comment on the specific post. If it is something you want kept private, email me @ Debbie@biblefunforkids.com. Thanks again for stopping by! Click here to see the blog posts where I have been featured. See the Link Up Parties here. Links to most of the Graphics I use. Debbie, I am a youth minister and our Sunday School director and I are developing notebooks with lessons for our Sunday School teachers. We are adding crafts, activities, games, etc. to supplement the Bible lesson. Do you mind if we use content from your site for this purpose? Debbie, Thank you! This site is great and I really appreciate all the hard work and time you have put into it! Thank you for your willingness to share it! I love the new look. congratulations on all your success, it's because you are glorifying the Lord and teaching His word! Renee, thanks for the comment! It means a lot! I looked for a button to add above, since I only had an old one. Let me know if you have a new one so I can add it. Thanks so much for visiting! I would love for you to use the Ruth printables! Let me know if you are having trouble downloading them at DebbieDaveJackson81@yahoo.com and I can send the PDF direct. Hello, Mabel, thanks so much for the really nice comment! No, I teach the same class on Sunday mornings for a year (except for the class I have now, which I have for 2 years), and I usually teach New Testament. I make a list of the lessons I want to teach for the year and get it approved by the Deacon in charge of material. If you can give me some time, I will add lists of the lesson plans in this post for you this weekend. Hi Debbie! I'm the editor of AllFreeKidsCrafts.com, and I love what I've seen on your blog! I've been looking to add more Sunday School crafts on my site, and I'd love the chance to link to your posts. When I link to bloggers, I write a description of the craft/activity, use one photo, and then include a link back to your blog for the full tutorial. Let me know if you're interested in being featured on my site! Hello, Emily, thanks so much for the comment! Yes, absolutely, I'd appreciate the features! And, when I know about them, I will add your link & a thank you to send any traffic your way that I can. Thank you! Debbie, I love your site and your pins on Pinterest!!! I feel like I already know you, because we pin so many of the same things!!! I too, am a member of the Church of Christ (Main Street) Pikeville, Ky!! Thank you so much for sharing your ideas!! If you are ever in our area, I would love to meet you!!! Pam, I am glad to meet you! I love KY, it is a beautiful state! If you are ever near Memphis, It would be fun to meet you! Thanks for the comment! Debbie Jackson, I'm looking at your Moses book art work and am wondering if you would let me, us (Trinity UMC in Opelika, AL) use it for a vbs craft. Hi, Jamie, I am not sure which project you are looking at, but you can use anything on this blog for VBS. I am glad you found something you can use! Thanks for stopping by. My son will be turning one in April (I know, I'm looking around really, really early!) I've been looking through your preschool posts and wondering what could be started around age one. Most of them seem appropriate for age 2-4, but I don't want to underestimate what he can learn about God. Any advice? Hi, Laura, they LOVE the songs! I have a range of preschool kids, and we will sit on the floor and sing. Any age group. They love the pictures on the crafts sticks, and I make one for me and one for each of them, It keeps their hands busy and they love to wave them around. During the day, if you start sing the Disciples, Books of the Bible, Jesus Loves Me, etc, they will sing with you when they can talk. Just like the alphabet, repetition. My granddaughter is 1, and she loves it. Also, just FYI, I start teaching body parts at about 1. Nose, mouth, ears, hair, hands, feet, etc. They will start pointing to them. And, God made them. Also, outside, God made the grass, etc. And soon you can start colors. I love this age! Oh, and thanks so much for stopping by! ☺ It is not too early to start working with him. They love learning, and it might not seem like it since he can't talk to you! Plus, you both enjoy the time you get to spend together! Laura, you are welcome! I forgot, it's a great age to say 'Let's pray' (or whatever) and hold their hands together and teach them to pray. It won't take long for you to say "Let's pray', and they will fold their hands themselves. Thanks for the question, I added it to the Facebook page without your name. I appreciate it! Debbie, just found your site and am in love! God bless you for all your hard work. I just downloaded the creation project, could you tell me what tune you sing the creation song to? Again thank you, you are blessing many with your work. Hello, Debbie, just found your site and am in love! God bless you for all. But , I need your help, I have to teach a class about Enoch do you have something, or any ideas. Hello, Cindy, I am sorry, but I don't have anything on Enoch. I checked my files. It is something to add to the long to do list! Thanks for stopping by! Hi Debbie, I love your site but I am having a problem with the visuals. When following this instruction highlighted in yellow "Click on visual to download and print the original document" in each Bible story, I am sent to "Distant Shores Media." I would like to print your pictures large enough to use as a visual aid but I haven't been able to figure out how. Is it possible? Hello, this is the original site for the free visuals. When I use them, I just click on the link, like you are doing, then right click and copy. You can save it if you'd rather. But, if you copy it, then paste it on whatever you use,(I use Word), you can print from there. Click (or double click) on the visual, then at the top tab: Format > Text Wrapping > In front of text. This makes it easier to work with and you can put the picture where you want it. I make my margins .5. You can 'grab' a corner of the visual and drag it to make it bigger. I will probably add the visuals as a download at some time, that is just a lot more time consuming than I have time for right now. Thanks for the comment. I appreciate you visiting. Crystal, I sent the attachment in an email. Let me know if you still have a problem. Thanks for visiting Bible Fun For Kids. Hi Debbie!! I can't find your email or how to connect and message you on FB. I would like to use the graphic of Sarah laughing from your post, Genesis: Abraham and Sarah. I am going to link back to that post at the bottom of my post. I am "Blogging Through The Bible" each Friday and I would like to link to your blog more often, if that is alright with you. That way moms can easily find a children's version of the story I am writing about. Is this ok? Would like to thank you for this beautiful amazing website. It help me a lot in preparing for Sunday School kids. I like the lapbooks a lot! May the Lord bless your work. God bless you richly! Love your site, Debbie! 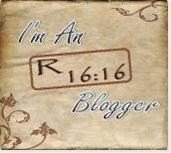 Your heart for the Lord is so evident on the pages of your blog. Thank you so much for sharing your wisdom with us. So glad you joined us for the Coffee & Conversation "About Page" link up! Hi Debbie! I'm joining you from Mom's Morning Coffee and am just so glad to have found you and your blog. I look forward to digging deeper and finding new ways to share the Word with my little ones (3 and 1). Thank you for all that you share! Hi Debbie, I love your website and pinterest pages! I have used your suggestions in the past. This year we have a heroes of the NT VBS theme. I am looking for some good general ideas (decor, themed reinforcements, etc) to go with the theme (topics have been decided). Have you seen this fine / do you have any suggestions? Thank you!! Thank you!! :) I have scoured Pinterest and just wanted to make sure you hadn't done it and just not posted. Thanks again! Hello, Emma, everything is free to use for Bible classes and programs. Thanks for stopping by! Glad you can use something! Hello Lane, I am sorry, I am not sure if you are asking about a specific post or in general. Most posts that are for teaching have the lesson, visuals, Bible verse, worksheet and usually a type of review project to be used with each one. The scripture is listed in the post somewhere because I believe people should study the scripture and not take anyone's writings as positive truths. For most lessons, you can just about follow the lesson written directly from the Bible, I have just transcribed it to be easier to teach. I rarely have an application because most lessons have more than one and the teacher should discuss, review and apply what part of the scriptures are needed most for their students. Although, you can usually tell from the project what I talked about for the application. I don't typically create an outline, I use the lesson format to teach the Bible facts and events. That is what you see if you purchase material. I have been like a kid in a candy store on this site ALL NIGHT LONG! I can't seem to STOP and go to bed... even though it's waaaay past my bedtime! I'm LOVING EVERY LESSON, every visual, every craft! DEBBIE, YOU ARE AWESOME! EVERYTHING is so professionally done. Even the art is extraordinary. Your teachings are right on target scripturally, to the point and beautifully illustrated. The tests and crafts are fun and stimulating! WHAT A BLESSING TO FIND YOU! You've thoroughly equipped me for ANY Class I teach. Currently, it's 3-5 year olds on Sunday morning...but 1st-6th Grades on Wednesday nights where I'm teaching the BOOKS of the BIBLE plus an overview of God's PLAN for MAN (using a timeline with key events from Genesis to Revelation). Your LETTERS FOM PAUL will be used next Wednesday. You've armed me and I'm ready to TEACH, TEACH, TEACH! Thank you for your goal of personal EXCELLENCE! (It's evident.) And I thank God for guiding me to this site. WHAT A BLESSING YOU ARE! Hello Debbie. What a great site and so much help in what I'm doing! I am a member at the Cumberland church of Christ in Somerset, KY. I recently joined the ladies ministry and am in charge of the bulletin boards (of which there are many!). I have searched and searched for ideas to help me put together boards that are attractive and attention getting to the kids, and when I came upon your site I was thrilled! Thank you so much for posting such a helpful website. God bless you in all of your endeavors! Thank you for your wonderful site!! I just came across it today and I am so impressed & grateful. I teach Sunday School as well as homeschool, and I can't wait to let others know about your site. Thank you! Thank you for spending so much time and creativity and then sharing the results! What you have created here is wonderful, thank you for the resources. Christine, thanks for visiting. That is a hard question to answer! Depending on if you are using it for Bible class or at home. I would begin with creation. That is what I taught for the first lesson for the 3 year old class on Wed. night I am assisting with. It just so happens that I will begin posting those lessons this Friday! There are 13 lessons for Genesis to begin with. The lesson, visuals, pictures to color, application project and more will be included. Debbie you are an angle! I was making this way too hard on myself, your right start from the beginning! Thank you for the wonderful resources you hve done a great job. What lesson do you recommend starting with for prek/k students? We started Judges in our K-3 class this week and I was having a hard time finding what I was looking for in supplemental materials. You're Judges printable are EXACTLY what I've been looking for! But then, to find out you're a member of the church?! I've been on so many blogs and Bible class websites that had good materials but had to be combed through or modified because they may not have been teaching truth the whole lesson. To find such a fabulous resource blog that is in the truth is so awesome! I love your blog - I've been combing through everything since I found the Judges material. Great job!! Thank you so much for doing what you're doing!! Hi Debbie, do you have any Bible "drills" curriculum? Hi Josh, sorry, I do not. I just recently discovered your blog and just wanted to let you know that you have helped me so much with lessons and crafts for my little Sunday School class! I have a small class of 4 sometimes 5 preschool age kiddos and I Love what you have put together! Thank you so much and I pray God will continue to bless you in your works! I do believe you may have saved my sanity! I teach at a Christian School and we are changing some of our curriculum. I, too, love creating lessons and printables. These are going to be a great asset to our History curriculum, as we teach "His Story" God's plan for the world and America. I do have a question, is there a way to modify a printable with the ESV scripture? That is the version we are using at school. Thank you for the generosity of sharing your gift. Susan, thanks for your comments! I appreciate it. As for changing the version, it would depend on which printable you would want changed. If it is something I can just add where to find the scripture and not have it typed on the printable, I can change a couple. Some versions do not allow using theirs like this. If you leave a comment on the specific post, I can find it easier. Thanks. Can I use it for Extension CLass? Absolutely, thanks for asking! I appreciate you stopping by. Just wanted to tell you how much I appreciate all your hard work. We are using many of your printables at the Park Heights Church of Christ in Hamilton Texas. Stop by if you're ever down our way. I'm sorry, I do not know what videos would be biblically sound any more. Any that I have seen have something in them I don't like. And, it has been a long time since I have watched any. Hi, I would love to use some of your printables for a vacation Bible school lesson this summer. Would you mind if I use some Of them for VBS? Thank you. Crystal, Yes, absolutely, you are permitted to use all printables for VBS, missions, Bible class, etc. Thanks for asking and I am glad you can use them! Thank you for sharing your heart, love and lessons about God's Word. Such wonderful work!! I was looking to do a series on the book of Acts and couldn't find anything until I found you. Praise Jesus! Is it okay to use some of your ideas as I put things together for the kids in our Wednesday night programs this fall? Your ideas are right in line with what I was thinking. So grateful! Debbie, in reading info on this page, I realize that you were related to Cathy Whitacre! 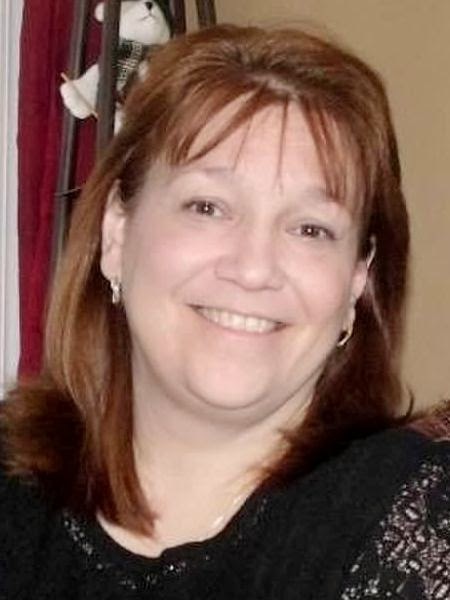 She and I went to church together for several years - she was a beautiful Christian lady. I understand that you don't feel comfortable doing workshops, but oh how wonderful you would be to younger women in the church wanting to teach. I attended two of Cathy's workshops - still use some of her wonderful ideas. I stated in another remark how much I appreciate you sharing your lessons, ideas, art, etc. Your website is just wonderful. My 1st, 2nd, 3rd grade class is now studying your lessons on the Life of Jesus. May God continue to bless you and your family. Hello Vicki! It is so nice to hear from someone that knew Cathy. She is truly missed and was a blessing to everyone who knew her. Thanks so much for your comment. It is appreciated. Debbie, I am trying to print the Disciples poster but I am only getting the first 3 images and then blank pages with just the facts about each at the bottom. Not sure what I am doing wrong. Can you help me ? I read your "about me" page and I just had to reach out and say a big ole THANK YOU. I have searched up and down and back again for resources to teach. We have a very, very small group of us who gather and we take turns teaching. I teach one time per month. Resources are limited so we have no money for curriculum. We teach only 4 kids (ages 3, 8, and 10) and this makes it hard to get something accessible enough for the littles, but impacting enough for the big ones. I need to say thank you so much for blessing others with your FREE materials. Your materials are so detailed and thorough and they have really, really helped me a lot in planning and sticking to my plans. I went through the whole lapbook about Jesus' parables and it was really great for me to keep on track. Thank you so much for your hard work for the Kingdom and for making it available to others. Thank you for this site! You probably know that it is not useful to little ones, but to us senior adults as well. My husband and I were reading about the bronze serpent-on-a-pole today during our Bible study, and wanted to see a graphic which might help us to understand it better. Yours did just exactly what we needed. Hugs to you from this teacher of teenagers for many years. Keep up the inspiring work! I just wanted to take a minute to say a big THANK YOU! Your site is exactly what I have been looking for and has helped so much as we study through Acts. I have spent so much time trying to develop ideas and lessons and it is so wonderful to have so many ideas already so well thought out. Hi Debbie from Australia. Just came across your beautiful site when looking for resources for Joseph for my Sunday School class. I was struck by the professional look and beautiful layout/grphics of your site, not to mention the wonderfully creative resources you have on here. For someone who 'doesn't know much about computers' you sure fooled me! Very inspiring. Thankyou and many blessings. What an incredible ministry you have! I am a Bible class teacher at a CoC in the Chicagoland area. Our congregation is small and these activities are perfect! Thank you for sharing your gift and inspiring others to teach the Word in every corner of the world! Our favorite curriculum is rather dated, but it has been a challenge to find new "updated" materials that stay true to the scriptures. It makes finding your resources a huge blessing! Take care and press on! God bless! What a wonderful ministry you have grown into! I am a Bible class teacher at a CoC in the Chicagoland area. What an encouragement I find when I look at all the fabulous (and sound) resources you have created! Thank you so much for sharing your talent and inspiring others to teach our children. Your comments about teachers today needing to update how we teach are spot on. Thank you so much! God bless! Thank you so much for loving God and for teaching. You can tell you are devoted to teaching and clearly have a gift that is helping me and others. I am teaching Acts to preschoolers and I love your material. I purchased some material for our class but tend to put it to the side and use mostly your resources. You have made it easier on teachers who are not as creative. I SO much appreciate the time you spent creating this resource for so many. May God continue to bless you as you serve Him. Thanks again! I am beyond excited to find your website! Really and truly FREE, FUN, artistic, creative ideas to passionately share God's Love and Truth with children! May God bless you throughout eternity for generously giving what you have worked so hard to put together! I always enjoy reading your lessons and use much of your materials in my own teaching. I currently teach 3rd graders on Wednesday night and I also work at our congregation's preschool. Thank you for all of your hard work and attention to being scripturally sound! May the Lord bless you and keep you! Thank you for sharing the gifts you have been given by God. I am presently writing Bible curriculum for African school children and after having written about 150 lessons my usual creativity is running low. So thank you for all of this great stuff. It helps me get refueled to keep writing so children can study the truth everyday at school. Blessings for 2019 keep running the race!! Your efforts in this blog have been an absolute blessing! I appreciate all the time and effort in all the lesson plans, activities & crafts. My husband is the Deacon overseeing Sunday School & Education. You have been a blessing in our ministry and especially to the little ones we are teaching. I write this note to say, God has you doing this for a reason, we are all encourage and blessed to have this resource.